The most popular route is Jersey to Guernsey. The average price this month for this route is £74.50 for a car and two people each way. 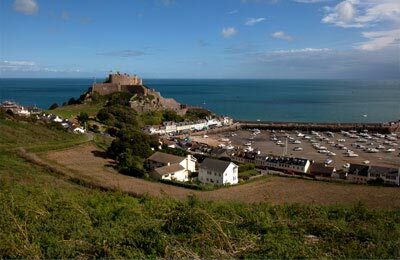 Booking a ferry to Guernsey is simple, easy and safe with AFerry, just use the booking form above to get a price. Manche Iles Express uses fastcraft catermarans with airline style seating and an on board bar. Sark Shipping offers three passenger vessels on the route between Guernsey and Sark. The journey takes 55 minutes. You will find booking your Guernsey ferry with AFerry simple and straightforward and what's more, we have great prices all year round. The climate in Guernsey consists of mild winters and cool sunny summers, the hottest months usually being August and September with an average temperature of 20°C. The island is ideal for sports enthusiasts and nature lovers, with a wide range of activities such as surfing, wind-surfing, scuba-diving, cycling, horse riding and much, much more. 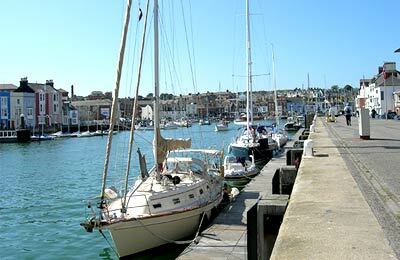 Guernsey Ferry Port or St Peter Port is located in the Channel Islands. It is a busy Ferry port with routes to St Malo and Jersey. Guernsey Ferry Port has been rated one of the top fifty most historic towns in the UK. Guernsey Ferry Port facilities include a cafeteria, a shop, disabled toilets and baby changing facilities. Car parking facilities are available on the North Beach, to the North of the terminal, and are free of charge. Maximum stay is between three and ten hours. Guernsey Ferry Port is located on the East coast of Guernsey, and is easily reached from anywhere on the island. A bus service runs throughout the island.